I can’t resist the scent of lavender! It is so nice to place amongst your clothing and shoes to make your wardrobe smell divine. These little lavender sachets are a fun project suitable for a beginner sewist. All you need are some fabric scraps, ribbon offcuts, and little crocheted doilies. Don’t worry if you can’t crochet, you can use ready made doilies, lace motifs, or else repurpose a lace table cloth. 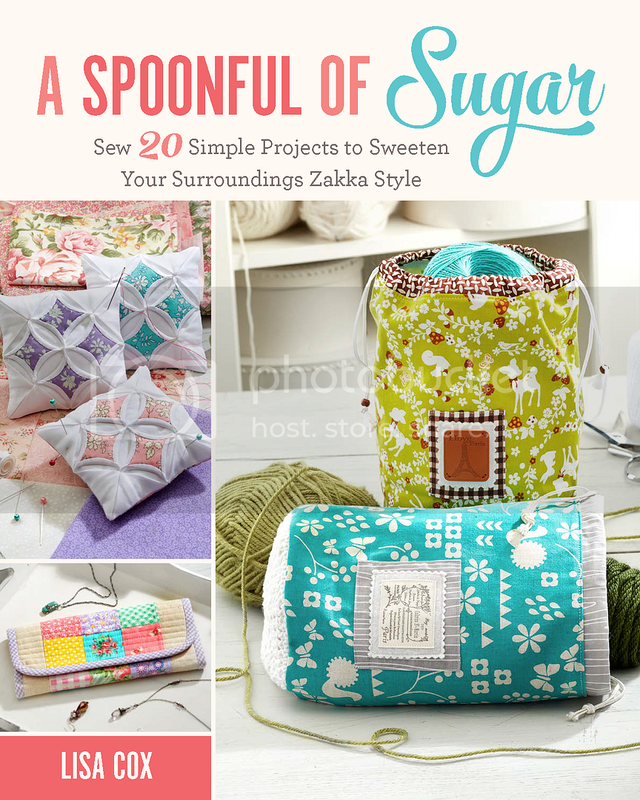 In fact you could add a fabric yoyo, hexagons, or any other embellishment you can dream up. Using some perle cotton, I crocheted some little doilies using a size 2 crochet hook. You can find the pattern on this post. Work 5 ch. And join into a ring with sl. st.
1st Round: 2 ch., work 23 d.c. into ring, join with sl.st. to 2 ch. 2nd Round: 4 ch., 1 d.c. into same st. as sl.st., 1 ch.,* miss 2 sts., (1 d.c., 2 ch., 1 d.c) into next st., 1 ch. ; rep from * 6 times, sl.st. to 2 ch. at beg. of round. 3rd Round: 2 ch., (1 d.c., 2 ch., 2 d.c.) into first 2 ch.sp., *1 s.c into 1 ch., sp., (2 d.c., 2 ch., 2 d.c.) into next 2 ch.sp., rep, from * 6 times, 1 s.c. into last 1 ch.sp., sl.st. to 2nd ch. of first 2 ch. 4th round: *(3 d.c., 1 ch., 3 d.c.) into 2 ch sp., 1 s.c. on s.c. of previous round; rep. from *7 times, sl st. to join. Fasten Off. My medallions measured 3 inches in diameter. If yours are a different size, you can adjust the size of the sachet. I used Valadani Perle Cotton Size 8 purchased from Massdrop. Handstitch the crocheted doiley to the centre of a fabric square. Fold the ribbon in half, and pin to the centre top of the sachet front. Baste in place. Position the two fabric squares together with the right sides facing. Sew around the outside using a 1/4 inch allowance, and leave a 2 inch gap in one side for turning. Lightly fill with lavender, Hand stitch the opening closed. These sachets have been made with Cabbage Roses and Memory Lane Fabrics – two new collections from Tilda. Thanks to the Australian Distributor, Two Green Zebras, for providing the fabric used this project. You can see our original tutorial for gingham lavender sachets here. Check out the Dress Form Lavender Sachets – pattern from my book, A Spoonful of Sugar. I love lavender sachets but my question is…where do you buy your dried lavender Lisa? I had a packet once, but with numerous moves over the years, seem to have lost track of it! Hi Susan – I found the dried lavender recently at Spotlight – in the floristry section. In the past I have dried it myself but it takes a while for the wands to dry out completely. Thanks Lisa! I will pop it on my list for my next visit! are they practical? They certainly can’t last long.a year perhaps…And then what… there’s also a possibility that organic stuffing may stain the fabric… and I feel uncomfortable with using precious material on a project that isn’t meant to ‘survive’, as much as I like the idea of a scented one…. Hi Lily – Thanks for your message. I have a number of lavender filled sachets in my wardrobe that have been in use for a couple of years. Over time the scent does reduce. I make them out of offcuts/scraps so don’t mind if they only last a year or so. I have never had any problem with the lavender staining. If it is dried properly this shouldn’t be a problem. Oh, thank you 🙂 It is a bit comforting. These are so pretty! Perfect as little thankyous or just for the pleasure of giving! And following Lily’s comment I must add I’ve a couple of lavender bags I made for my grandmother years ago and they still have scent – especially if squeezed a bit. I’ve used lavender and other herbs for many years and have never seen staining. Adding orris root powder helps to preserve the perfume and makes it last longer. Great idea Barb – thanks for the suggestion. I used to use Orris root powder when I made pot pourri. Thanks so much Brenda! It is always fun to try new things. Have a wonderful week. Hi everyone, these are very darling, I love them !! Can anyone tell me – is it ok to put a drop or two of lavender oil i.e. essential oil on the dried lavender before closing up my pouches? Thanks everyone! I love your tutorial. Your project are adorable. Thank you very much..